The holiday season is here, which means Christmas party galore! Whether you're attending or hosting one, social gatherings require some sort of production effort, including food presentation. 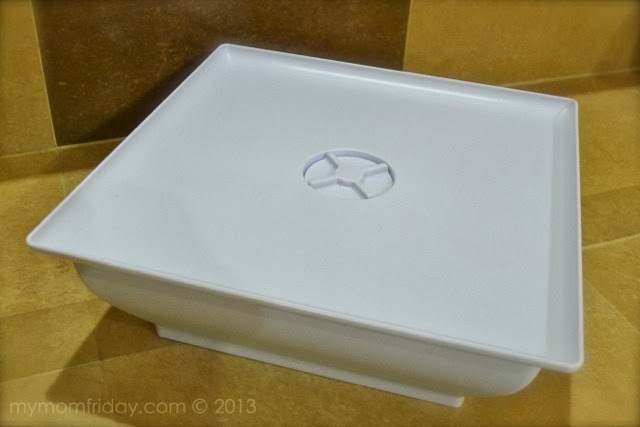 With the party season in mind, I though it would be nice to share my latest kitchen find that's perfect for serving snacks and desserts beautifully. While doing my usual trip to the neighborhood grocery, I chanced upon this box with a nice picture of a tiered cake stand. I already have my pretty and reliable cupcake tree stand which you can see here, but I thought it wouldn't hurt to get another one since it's cheap and nice! I could always use another dessert stand. Let's begin the unboxing of the cake stand. Here's the whole base, measuring 10 inches. 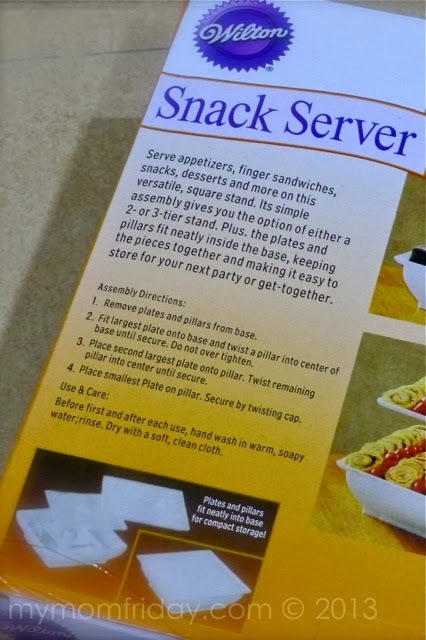 Simply read the assembly directions from the box. But even without reading, anyone can figure it out since the design is simple and only has few parts. 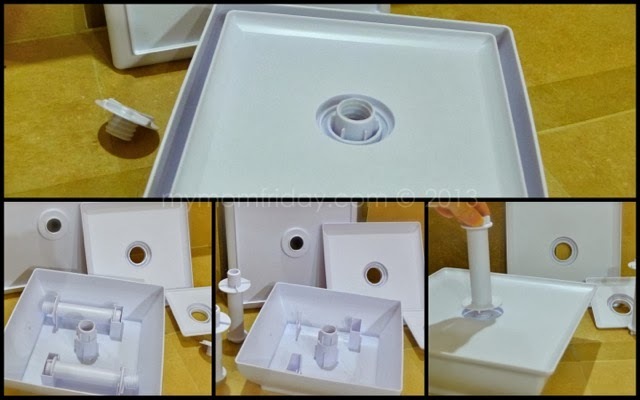 Unscrew the center and you'll find all the pieces fitted neatly inside the base - very easy to assemble, disassemble, and store. Once you open, you'll find the medium and small plates, and the 2 pillars for the center of the stand. Layer the plates from biggest to smallest, with the pillar twisted in the center. Do not over tighten. Cover and secure the top with the screw and the stand is ready. 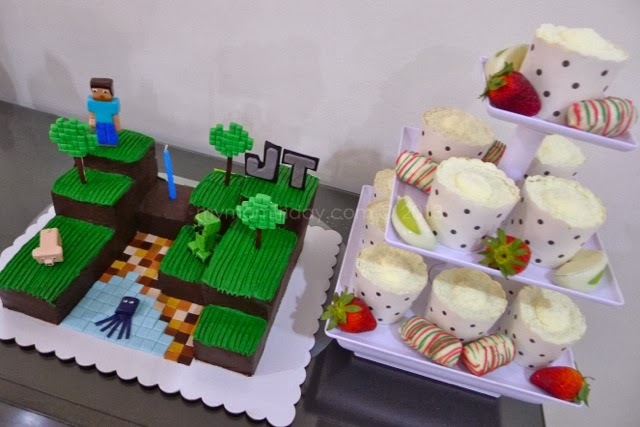 You can use 2 or 3 tiers. 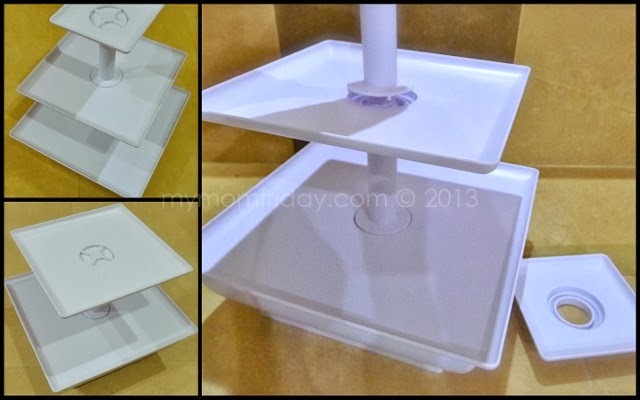 You can even twist and position the center plate on a diagonal for a different look. See how simple and neat this is? 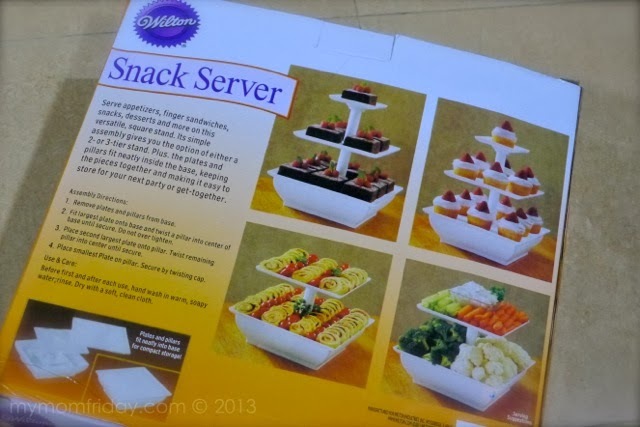 Now, anyone can serve snacks or desserts like a seasoned party host or planner. 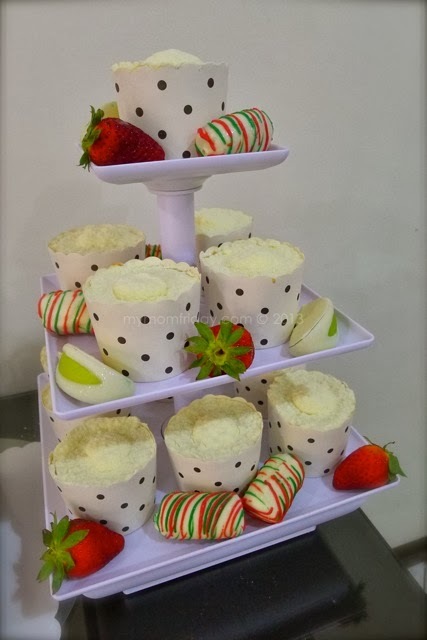 Here's how I displayed the hokkaido cupcakes I ordered during my son's recent birthday celebration at home. I was able to place 13 cupcakes, and decorated with fresh and chocolate covered fruits. 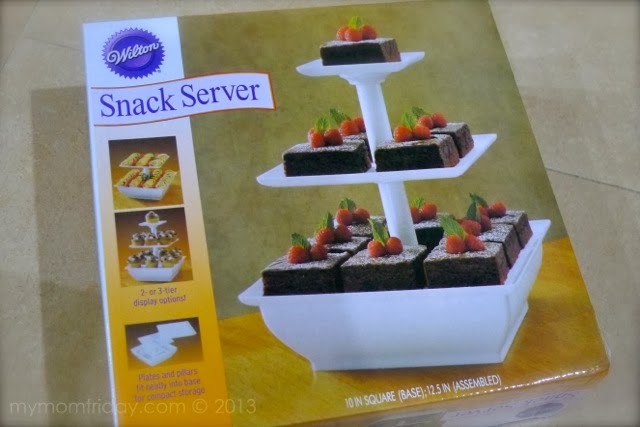 This Wilton Snack Server is one of my best finds this year, and a bargain at that! 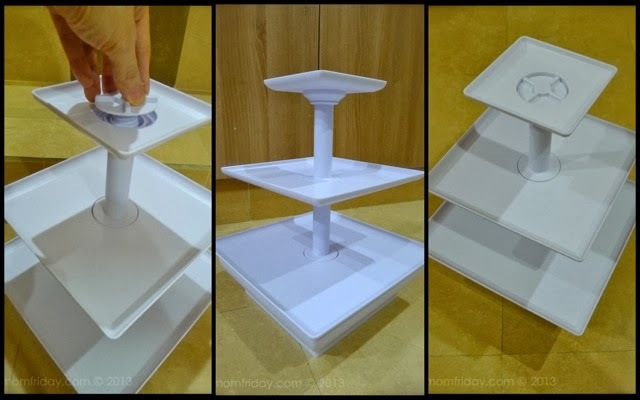 A few friends asked about this after I shared this cake stand on Instagram, so here it is.